We believe that no qualified student should be discouraged from pursuing a seminary degree for merely financial reasons. Whether that is accomplished through standard financial aid, various student payment options, or through the many scholarships, grants, and discount options, Missio will work with each individual student to create a plan that will allow you to realize your goals. Listed below are some great scholarship opportunities.  Below are scholarships offered through Missio Seminary. Please note the requirements for each offering; not all students are eligible to apply. The Arthur Scholarship is available to qualified students (new or returning) whose objective is to serve and minister in urban contexts. The Church Planters Scholarship is available to qualified students (new and current) who have financial need and are preparing for or currently engaged in ministry as a church planter, either domestic or international. The L. Hope Mangum Memorial Scholarship is available to new and returning students who are preparing for ministry, can demonstrate financial need and maintain a grade-point average of at least 2.5. The Dr. John W. Murray scholarship awards a candidate who is pursuing mission and/or evangelism and demonstrates financial need and meets guidelines for successful studies. The Thelma Kummer Scholarship is awarded to a 2nd or 3rd year Master of Divinity student who is committed to the Westminster Confession of Faith. In addition, a qualified student must be actively serving in local KAPC, KPCA, KPUS, OPC, or PCA groups and actively engaged in pastoral ministry or planning to do so in the future. Must have a 3.2 GPA or higher. A prospective candidate for the Rapp Scholarship is a student in good standing who has financial need after having actively sought out other ways to pay for tuition such as through employment or developing a support system. The Jeffrey Douglas Smith Scholarship is available to a Master of Arts student who is nearing the end of their program and has a financial challenge that endangers their ability to complete their degree at Missio. Below are scholarships from outside groups for which any student may be eligible. Missio is not affiliated with, nor do we necessarily endorse these organizations. Scholarship opportunity for three Korean students. CLICK HERE to download the application form. The Korean American Scholarship (KASF) is a non-profit 501(c)(3), volunteer-managed organization established to provide scholarships to Korean American students, encourage community and civic service as an integral part of leadership development, and nurture the sense of pride and confidence in Korean cultural heritage and tradition. The A&F Scholarships are available to all students currently registered in any accredited post-secondary institution. To apply for this scholarship you will need to write describing your educational career and life goals. Explain your plan for achieving these goals. The Calihan Academic Fellowships provide scholarships and research grants to future scholars and religious leaders whose academic work shows outstanding potential. Awards are open to current students in theology, philosophy, religion, economics, or in related fields. Candidates must have a demonstrated interest in the themes of the Acton Institute. Candidates must display the potential to advance the themes of the Acton Institute. The Champions For Christ Scholarship exists for those who are Christ’s servants called to follow Him, commissioned to share His word, dedicated to ministry, and leading others to Christ. Applicant must be going into full-time Christian ministry. The Harvesters Student Scholarship exists to support individuals who subscribe to the Evangelical Christian faith to participate in professional and educational services as witnesses for their faith in action and to contribute to international development. Logos Bible Software has scholarships available for anyone. All you have to do is watch a video and fill out a questionnaire to be entered to win this scholarship. Open to everyone. The Novak Award is named after distinguished American theologian Michael Novak. This $10,000 award rewards new outstanding scholarly research concerning the relationship between religion, economic freedom, and the free and virtuous society. The Student-Caregiver Scholarship provides financial assistance to students who while enrolled in higher education are caring for an adult relative. Two scholarships of $1,500 are awarded each year to student-caregivers to help cover costs of tuition and books. The deadline for the application is 12/31/2018. Women’s International Fellowships are awarded for full-time study or research in the United States to women who are not U.S. citizens or permanent residents. Both graduate and postgraduate studies at accredited U.S. institutions are supported. The Center for Scholarship Administration has hundreds of scholarships available by online application. Click on the scholarships tab and browse available applications. Deadlines are posted. Deadlines open and close throughout the year. The Epsilon Sigma Alpha Foundation awards numerous scholarships annually. You do not have to be an ESA member to apply for a scholarship, and our application process is online. The Leopold Schepp Foundation has awards that are based on demonstrated financial need. The maximum annual award is $8,500. Applicants must submit copies of their and their parents’ most recently filed income tax returns (2011). A detailed estimate of academic expenses and resources is required. The Ministry Education Grant Program is funded by the Shepherds for the Savior. The Ministry Education Grant Program seeks to assist those preparing for a ministry career. The Roothbert Fund Scholarship seeks candidates who are “motivated by spiritual values,” and works to foster fellowship among them. While the Fund does not emphasize any particular form of religious practice or worship, it seeks to provide support to persons motivated by spiritual values. Must have current or permanent address located in one of the following States of the United States or planning to move to one of such States prior to March 1 of the year in which the application is made: Maine, New Hampshire, Vermont, Rhode Island, Massachusetts, Connecticut, New York, New Jersey, Pennsylvania, Ohio, Delaware, Maryland, District of Columbia, Virginia, West Virginia, or North Carolina. Thank you to Caring.com for this list of scholarships that are available to students in the role of caregiver for aging loved ones.